Since 1982, the Bocuse group make the guests of Walt Disney World parks dream about France by giving them the opportunity to live a unique and wonderful experience at the French pavilion of EPCOT. Live a typical French experience and taste the most famous French meals. To make this experience real, every year, hundreds of young French candidates are representing their country and their culture while working at Walt Disney World® for the Bocuse group. Composed of a luxurious French Brasserie, a fine-dining restaurant 'Monsieur Paul' and a French Bakery, the « Chefs de France » offers many job opportunities for young French eager to represent the culture and the French "savoir-faire". To work in the United-States, you will need a visa. Our agency will assist for the visa demand. The cultural representative program is giving you the opportunity to work in the USA while representing your country towards the international guests of Walt Disney World®. This program is for the young French people willing to share their culture: French gastronomy, touristic places, our accent, our traditions! Our team will be assisting you with every step of the process, including the request of the cultural representative visa, Q1. A few weeks before your departure, you will have your visa appointment at the US Embassy in order to request officially your visa. We are recruiting all year long for Chefs de France program. Many positions are available, don't hesitate to share with your friends! When is the good timing to apply ? The next selection will be held in June in Lyon. You will register with Disney® in order to book your accommodation before your departure. Your bedroom will be shared with 1 or 2 other persons. 8 persons per appartment maximum. The Disney® residence are fully furnished: internet, swimming-pool, fitness room ( you will need to bring your linens). The rent will be directly deducted from your salary. Events are often organized by Disney® Housings, you will be able to participate for free. International Services is assisting you for every step! For 25 years, our agency is recruiting and assisting the candidates in their international career. Once that you have been selected for the program, our team will be assisting you in every step in the process, until your departure to Orlando ( visa appointment, medical insurance, travel)! You will be able to follow-up your process in your online profile and have a quick access to your file and to the important documents. What budget should I prepare? The PPF of US $ 375 should be paid to Disney. Payment wll be requested when you are selected and have a departure date. This fee is used to book your Disney housing. It includes a pre-paid fee for the first week of rent but also your transportation for the duration of your program and the access to all events organized in your Disney residence. You will need to book an appointment at the US embassy and will be ask to pay a 190 US$ fee. We remind you that the Q1 visa cost is supported by your employer, Chefs de France. Medical coverage is compulsory when you start working on the US territory, you need to contract a medical insurance for the first 3 months of your program (estimated cost is 150 €). You will be responsible for the cost of your flight and local transportation to reach Walt Disney World. Our agency is proposing a Travel Package including : the flight + hotel + shuttle to travel with the other participants of the program. Since we are assisting hundreds of candidates every year, we can offer our 'Travel Package', leave with peace in mind! French service 'à la carte' for the Disney Guest on Chefs de France ! 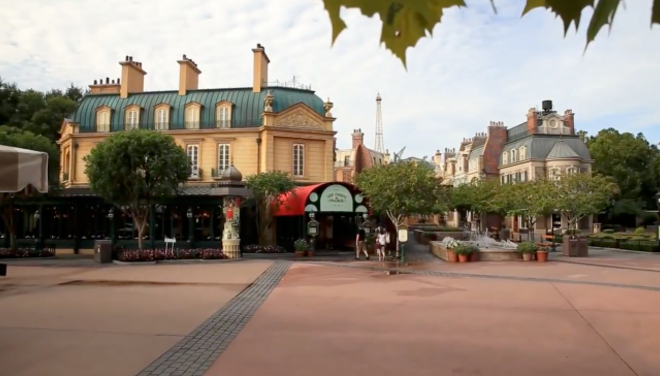 Sell typical French delicious pastries , ice cream and wines to the Disney guests ! Prepare typical French deserts for the Chefs de France Restaurants ! Prepare typical breads for Disney visitors so that they can travel to France ! Learn with Chefs de France Bocuse and make the guest travel to France by preparing typical dishes.